Our body as well as our health weaken as we age. It is a normal process that every person undergoes. The same thing happens with our vision. As we reach the age of 40, we develop certain eye problems. One of the vision-related eye problem that commonly affects aging individuals is presbyopia. Presbyopia is usually experienced by people who have reached the middle age. This eye condition is characterized by reduced or blurred vision. It is correlated to the negative effects of aging on the visual system resulting to a loss of flexibility in the eye lens as well as the focusing power of the eye muscles. With presbyopia, an individual’s ability to focus on close objects is limited. As a result, anyone with such an eye condition would have to hold a book or a magazine at arm’s length to read clearly. Wearing prescription glasses is the common treatment for this condition. 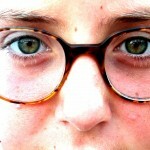 Those with Myopia, Hyperopia or Astigmatism may likewise may develop this eye problem later in life. This would require the use of glasses with bifocal lenses. The American Vision Institute reveals that this eye disorder is not an inherited condition and can also be improved with Presbyopia eye exercises. It is estimated that around a billion people all over the world suffer from this eye disease. Presbyopia is generally age related. However, unlike near-sightedness or farsightedness that are normally affected by genetic factors, presbyopia is due to the gradual loss of flexibility of the eye lens. As we age, the muscles that control the eyes tighten, thus lose their elasticity. This would require the eye lens to exert more force to focus on close objects. Together with this, the proteins that make up the eye lens harden with age, which furthers the loss of flexibility. The most common and proven to have effectively corrected the vision of those who has presbyopia is the use of prescriptive optical instruments such as glasses and lenses. For those who are actually suffering from presbyopia alone, wearing reading glasses is the best solution. Anyone can easily purchase these reading glasses over the counter. Bi-focals or progressive addition lenses (PALs), are another option for those who are suffering from near-sightedness as well as presbyopia, farsightedness, and other eye problems that have been considered to be corrected by such method. Basically, bi-focals are glasses that have corrective lenses for both near and far vision. Progressive Addition Lenses function like bi-focals. However, they offer a more gradual transition between the near and far vision lenses. Moreover, there is no vision modification between the two on the surface of the lens. As the weakening of the system of the body progresses, so does flexibility of the eye lens progresses as one ages. This would require one to periodically increase the power of the contact lenses/glasses. It goes without saying that if anyone has started experiencing the symptoms of presbyopia, then it would require periodic visits to the eye doctor or optometrist to make sure that the appropriate corrective lenses are worn. An alternative solution for people with presbyopia as well as other common vision problems would be to undergo refractive surgery so as to lessen the need for prescriptive eyeglasses and/or contact lenses. One of the most common options that is also quite efficient is called LASIK, a shorter term for “laser-assisted in situ keratomileusis”. As with other types of refractive surgery, this procedure reshapes the cornea to allow light to pass through the eyes so that it can be properly focused onto the retina for clearer vision. In majority of the cases, laser eye surgery is pain-free only requires about 15 minutes for both eyes to be completed. Improved vision without eyeglasses or contact lenses is normally experienced within 24 hours after undergoing the surgery. There are a number of other experimental treatment methods that have not achieved the same success rate as that had been reported with LASIK. One of these is injecting an elastic gel-like substance that will replace the natural eye lens. As most of the alternative treatments are still in experimental stages, it is advised that LASIK be considered if anyone plans on getting surgery done for this eye disease. Continued reliance on glasses will eventually decrease the natural focusing power of the eyes as the responsibility that is supposed to be done by the eyes is transferred to the lenses. As a result, the person would need stronger prescription glasses. Considering that one of the causes of eye disorders concern the build-up of stress as well as tension in the eye muscles, eye experts recommend a series of stress relieving eye exercises to relieve eye problems such as presbyopia. Eye exercises lessens the risk of vision disorders as it increases the nutrient absorption, as well as oxygen circulation to the visual system. Employ the 20/20/20 Rule. This technique reduces stress as well as the tension within the eye muscles. This exercise involves focusing on an object that is twenty feet away every twenty minutes and with a 20 second interval. Applying a very light and gentle massage over your closed eyelids for about 10 seconds can also improve blood and oxygen circulation to the eyes. Completing exercises such as these with a daily diet rich in vitamins A, C and E, is also advisable. Fruits, vegetables and flax seed are rich sources of nutrients that your eyes need. Another exercise recommended to increase the strength and the focusing power of the eyes requires crossing the eyes by focusing on the tip of the nose. Then you need to shift your focus to an object located at a distance. Repeat these two exercises with 10 repetitions 4 times a week. Remember to inhale deeply while you are focusing on the tip of your nose then exhale when you are about to focus at a distant object. Like any other age-related eye problems, presbyopia requires that you maintain a healthy lifestyle and consider giving your eyes the much needed rest it requires to ensure that you may be able to have clear vision as long as your body allows.